The dangers associated with carbon monoxide are promoted to the general public every year through Carbon Monoxide Awareness Week. 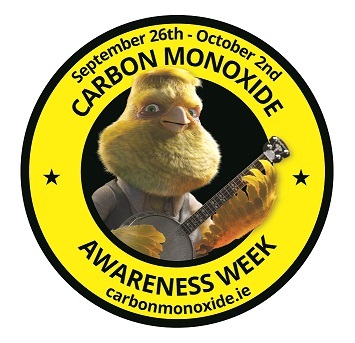 Fronting the awareness campaign is Tommy McAnairey - carbon monoxide campaigner and canary balladeer who will be singing and crooning across the airwaves to help spread the word. Tommy's song ‘Carbon Monoxide is Lethal as Hell’ is a way to get people talking about carbon monoxide and features his unique take on all of the safety messages. Help Tommy spread the word far and wide for Carbon Monoxide Awareness Week. View this short video for advice on the best place to locate carbon monoxide alarms in your home.